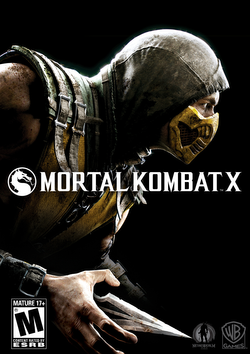 Mortal Kombat X, the tenth installment in the long running series, was released in 2015. Just as in its 10 predecessors, gameplay consists of two opponents (or a player versus computer) sparring employing a diverse array of attacks specific to a chosen avatar’s fighting style. Additionally, there is a story mode picking up 20 years after the previous installment, challenging “Tower” modes, and the “Krypt”, which is played in first person with the goal of unlocking in-game items. The game takes place 20 years after the canonical events in Mortal Kombat (2011), with many series regulars returning as well as a variety of unique characters (including DLC content). The game’s story jumps between the Outworld and Earthrealm, pitting characters from different dimensions and warring factions against each other.